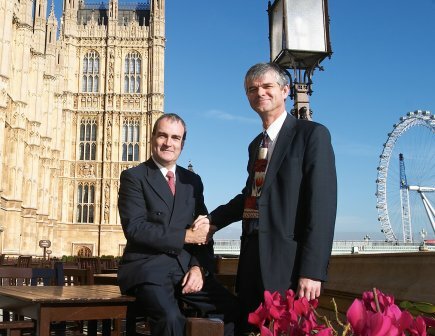 Buckinghamshire GP Dr Nigel Masters was the overall winner of the GP Enterprise Awards 2004, and went to the House of Commons to collect his £7,000 prize from Health Minister Stephen Ladyman. Dr Masters had already received £3,000, along with five other category winners. His idea of adding clinical and safety indications to repeat prescriptions has so impressed ministers that it could now be rolled out across the UK. Clinical indications have also been recognised with a number of other important awards. On the 11 November 2005 Sir Graham Catto President of the General Medical Council presented Clinical Indications with the BUPA Communication Award. In 2005 Clinical Indications was also a finalist in the Medical Futures competition (Patient Safety category) and also the Guidelines in Practice Awards (Medicines Management Category). In 2006 Clinical indications was given a Judges Commendation in the IT/Knowledge Management Category for the South East NHS Innovations Awards.